This image makes me feel like I was the one who took the shot. 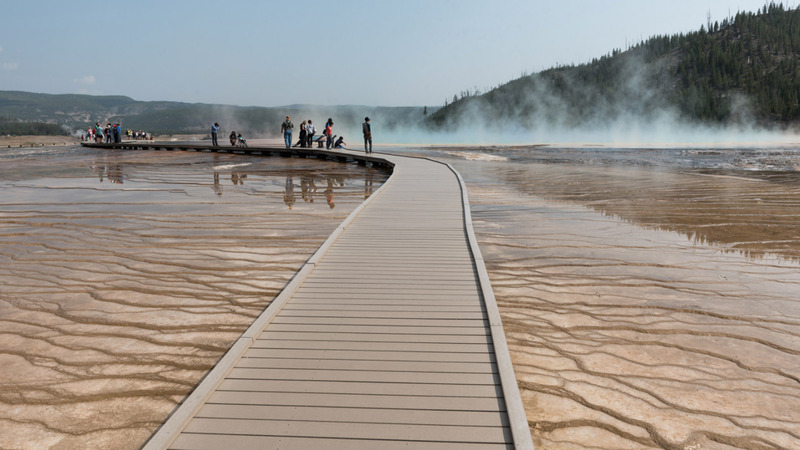 The wooden walkway is the perfect lead to take us on a walk through this part of Yellowstone. The squiggly lines of sand in the water, the slope of the hills and the curve of the boardwalk all lead the viewer into the image. I love the reflections of the visitors and trees on the right as they both add interest to the shot. Really great summer tones and it all just takes me back to when I was 10 years old and following my parents down those boardwalks through the park.